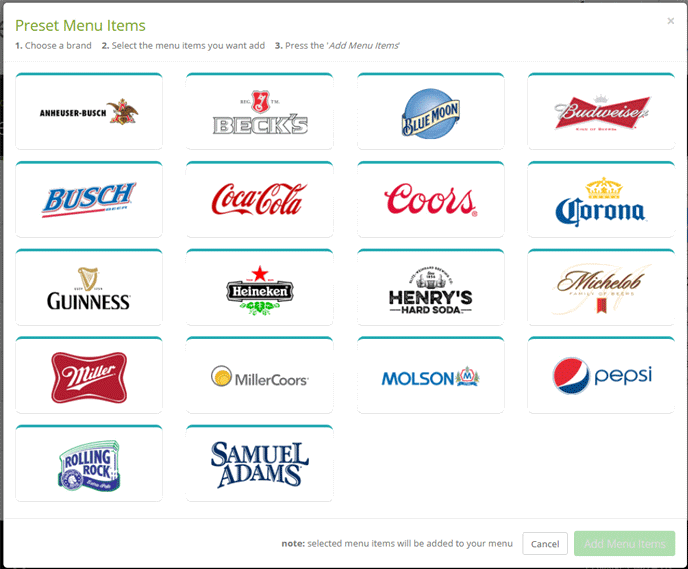 We’ve made it even easier for restaurants to build their menus. You can now select menu items from top brands. Simply choose the brand, select some items to add to your menu and click ‘add’. Just that simple.